Many students find themselves lost by the end of semester in Organic Chemistry. This has led to a terrifying perception of Organic Chemistry that is passed down from upperclassmen. We at StudyOrgo are here to say, you can make it! You just need the right strategy to succeed. The best way to stay ahead of the semester is to divide your chapters into blocks that you will study. Most professors will have a fairly clear outline of what chapters from your book will be covered before each exam. Your goal here should be to divide your time (starting right now!) until the exam into blocks to study. Some chapters, like substitution (e.g. SN2) and elimination (e.g. E2), are longer than others because these reactions are the foundations for future reactions you will learn later in the course. So, spend a lot of time mastering these important topics. Finished a chapter early? Move ahead and don’t wait until you receive the lecture to start studying. Many people find studying before the lecture help them to really understand what the professor is saying and will give you an opportunity to ask questions right away. But remember; no one is a better judge of your understanding than you! If any material is unclear, don’t move forward until you are confident and seek help immediately. 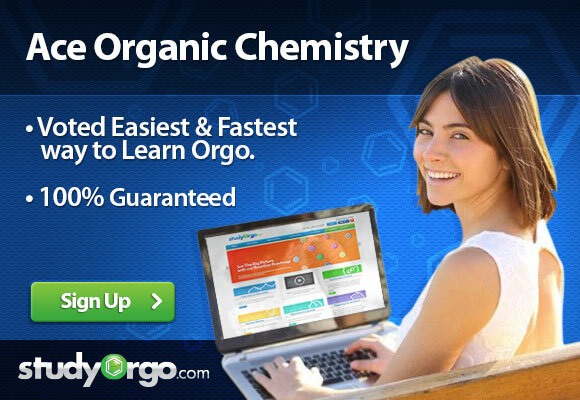 StudyOrgo.com has developed a customized presentation of difficult concepts in organic chemistry into an easy to understand format with a step-by-step breakdown and description of common reaction mechanisms in organic chemistry. To achieve your “divide and conquer” plan, get serious about studying the material. The best way to this is to schedule yourself an “appointment.” Carry out your studying at a designated spot, we recommend not studying in the comfort of your home or dorm room where distractions are copious. Pick a coffee shop, library or classroom to force yourself into studying. Learning these time management skills will not only help you earn a passing grade in Orgo, it will help you in your career as well! Professors are notorious for advertising to their students that homework is not mandatory and/or you will be graded on the homework. Relax then, right? Wrong! An important realization to make is that there are only so many types of questions a professor can ask. Therefore, if you see a ton of practice problems, chances will be high you have already seen the exam problem. Many professors will throw in “really hard” questions that terrify students and it may seem like they are just being plain evil. There is a reason for everything! Professors use this tactic to assign A’s to the students who have kept up and followed along the whole time and rightfully so since these questions cannot be answered without understanding everything they have covered. You can be one of the few who aces these questions! Either you have been following the steps above the whole semester and you are ready for that exam… or you read our article too late and the exam is next week. There is still hope! Simply adjust the “divide and conquer” strategy to fit the time you have remaining until the exam. We suggest you review ALL of the material though and not just what you think you don’t know. In our experience, the difficulties students have are often because they missed a concept earlier on. 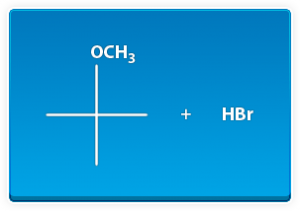 Orgo is like a pyramid, the top falls without a strong base. Here at StudyOrgo, we have developed easy to follow review study guides and exercise sets to help with reviewing all the concepts you will have to master to pass the course! Check out www.studyorgo.com/summary.php for more details!